GSP History provides you with the opportunity to take a peek inside Greenville-Spartanburg Airport’s rich past. From groundbreakings to celebrity pilots, the walls of The Terminal are filled with stories waiting to be shared. The relationship between Greenville-Spartanburg International Airport and BMW all started in 1989 when the German automaker was hunting globally for a place to build a plant outside of Germany. Anderson County was originally considered, but when BMW chairman von Kuhnheim and his team flew into Greenville-Spartanburg and saw the open land around the airport, they shifted their focus. A key requirement for the future plant was a space that would allow B-747 aircraft to taxi directly between a runway and the manufacturing plant. But first, a case had to be made to key players for the Upstate location to be chosen over another bid in Omaha, Nebraska. It was a high stakes competition with a potentially huge economic impact, including up to four thousand jobs. In the end, the close proximity to the airport and strategic placement by the Atlantic Ocean were too hard to pass up. 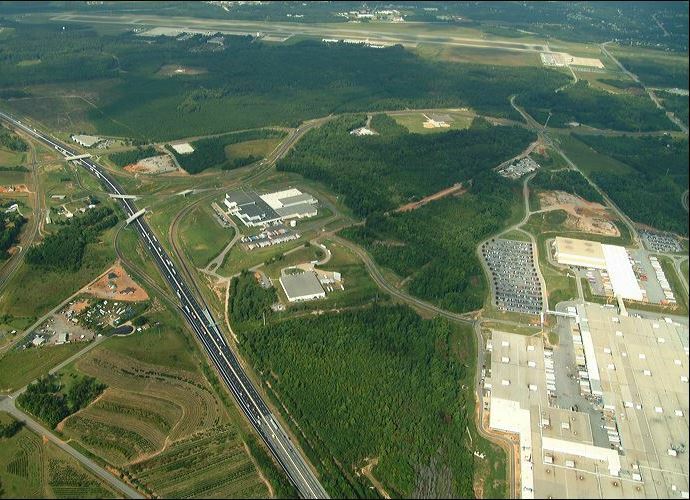 Interstate 85 runs past Greenville-Spartanburg International Airport, seen at the top of the photo, with BMW’s North American plant, on the right. A road connects BMW with the airport’s large cargo apron in the upper right of this photo. Local officials had to guarantee available property adjacent to the airport, Airport Commission chairman Roger Milliken said that selling even three hundred acres to BMW would not be enough room for the plant because the property would be locked in by I-85, the airport and a residential area, which would prevent any plant expansion and would also limit the airport’s growth. 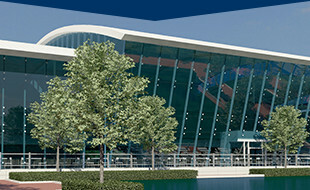 Moving fast and with the help of local development companies, state legislation, and with the cooperation of local property owners and realtors, Governor Carroll Campbell and all those involved were able to secure options on more than twelve hundred acres of airport-adjacent property, and the decision was left in BMW’s hands. Part of the last step of the deal was the lengthening of the GSP runway to facilitate BMW cargo flights (but that’s a story for another day). And thus an incredibly positive relationship was born between GSP and BMW, and BMW and the Upstate. Next time you’re passing by the Greenville-Spartanburg International Airport and see the BMW plant, you can share your newfound historical knowledge! Stay tuned for upcoming construction updates and Flyer Fact Fridays here on the WINGSPAN blog. 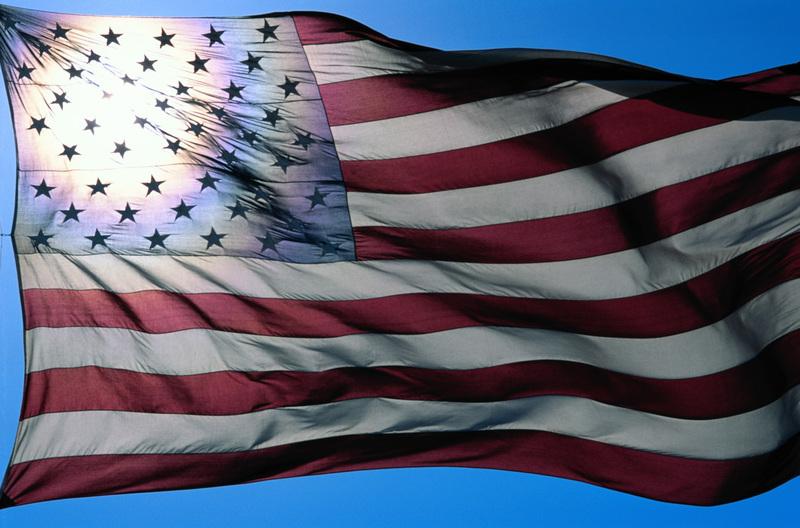 We would like to thank the men and women who have served—and continue to serve— with courage, sacrifice, and bravery to protect our country and our freedom. In 1939, President Franklin Roosevelt declared that August 19 would be National Aviation Day – an annual occasion to celebrate the importance of aviation, and the birthday of Orville Wright. Orville Wright manned the first successful sustained power flight in 1903. 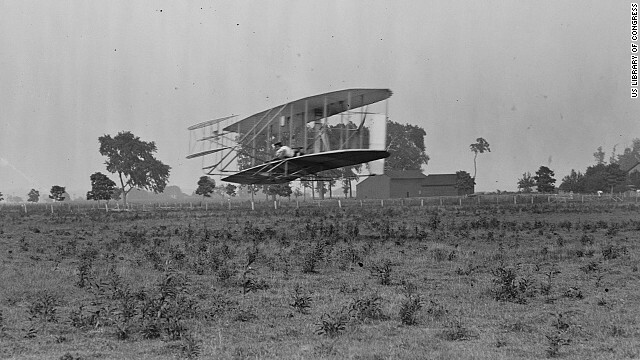 He and his brother, Wilbur, successfully made three more flights that day, but it is Orville who made that first flight. Happy National Aviation Day everyone – here are some other ways to celebrate the holiday. This morning, we held a dedication for one of our newest restaurants, Flatwood Grill, established in honor of the Flatwood community. More than 65 residents attended the dedication to pay tribute to the community that part of the airport is built upon. The inside walls of the restaurant are lined with picture of residents of the Flatwood community including the baseball team, the Flatwood Peaches. “This airport was built in what was the Flatwood community and as we continue to thrive and grow it was important to this Airport Commission that we find a way to stay connected to our strong roots and our rich heritage,” said Dave Edwards, president and CEO of GSP Airport District. “I am honored that GSP Airport has decided to name the restaurant after the community that I grew up in. In fact, I was the first baseman for the Flatwood Peaches from 1944-1955. I am thrilled that everyone who comes to eat here will know exactly what the Flatwood community is all about,” said F. E. Hendrix, Flatwood representative. Who knew that the world’s first airport was in a deserted cow pasture in middle-of-nowhere-Ohio? We sure didn’t! The folks at CNN traveled out to Wright-Patterson Air Force Base near Dayton, Ohio and checked out Huffman Prairie Flying Field, the piece of land that is considered to have been the location of the very first airport. Huffman Prairie is where the Wright brothers would experiment with their planes and try out different aviation tactics. The barren land is also home to many aviation firsts including the first permanent flying school and location of the first cargo flight. Huffman Prairie was also where the Wright brothers performed the first controlled turn, first circle and first figure eight. 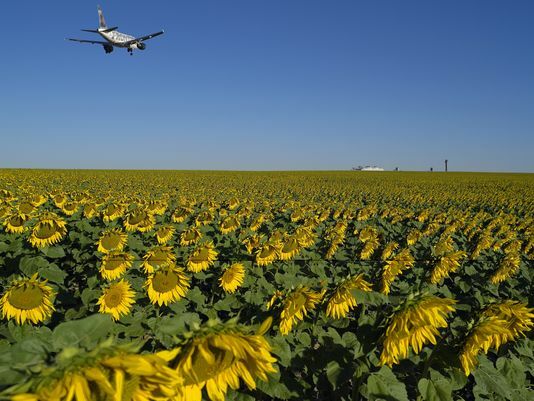 There are some skeptics, however, over whether or not Huffman Prairie is considered to be the world’s first airport. College Park Airport in Washington, D.C., Kitty Hawk in North Carolina and Pearson Field in Washington state are also considered to hold the title of “first airport.” Whatever the case may be, there is no denying that Huffman Prairie is one of the most historical places in aviation history, being home to many aviation firsts. 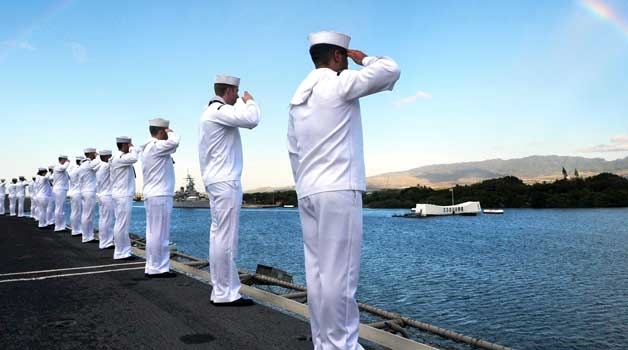 December 7, 1941 – a date which will live in infamy. These words still resonate with many Americans today and immediately bring to mind the attack on the United States Naval base in Pearl Harbor. While most all of the U.S. vessels involved with the attack were unsalvageable, there was one flyable American aircraft that survived. This was a P-40B Tomahawk built in Buffalo, New York. 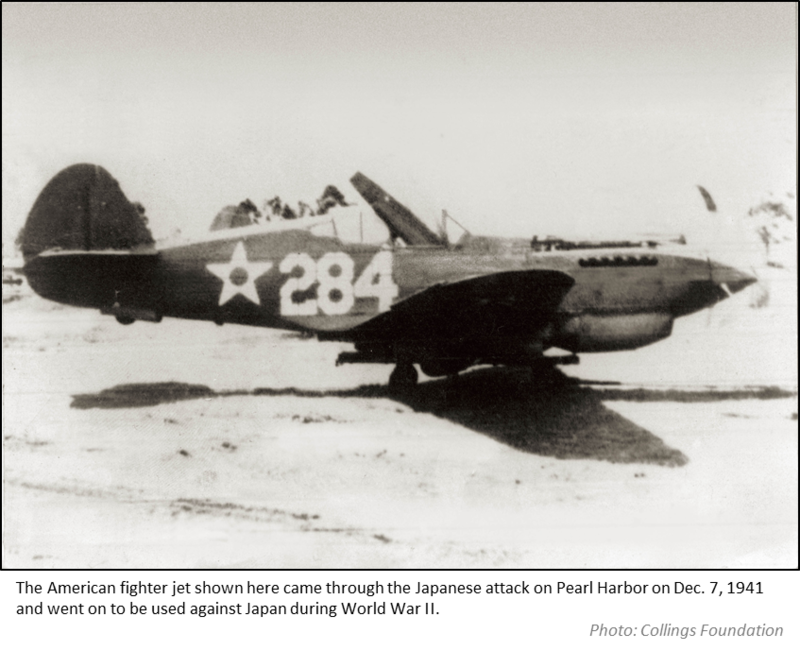 In December, the American fighter plane was purchased from an aviation museum in England and was shipped to the United States. The funding for the purchase came from an anonymous donor and was donated to the Massachusetts-based Collings Foundation which works to preserve U.S. military aircrafts. The aircraft was built by the Curtiss Aircraft Co. plant in Buffalo, NY in early 1941. Later that year, it was undergoing repairs in a hangar at Wheeler Field on Oahu when Japanese warplanes attacked Pearl Harbor. 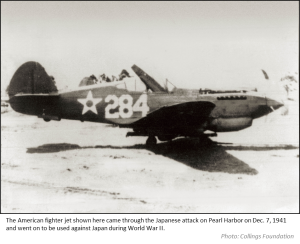 While more than 300 other U.S. planes were destroyed or damaged during the attack, the P-40B escaped unharmed. The plane is scheduled to eventually fly over Buffalo, NY and other U.S. cities, and there are also plans for the plane to participate in the 75th anniversary of the Pearl Harbor attack in 2016. 1920’s: In the late 1920’s, airlines began adding flight attendants to make flights more enjoyable by serving drinks and providing new tickets when a flight was cancelled or delayed. 1930’s: Introduced in 1939, the Boeing 314 Clipper was like a flying luxury hotel. The Clipper passenger cabin came complete with a full-sized dining room, a honeymoon suite, bar and plush chairs. 1940’s: The American airline TWA became the first airline to provide commercial broadcast radio programs to their passengers in-flight. The radio receivers were built into the pillow headrests with radio controls built into the arm rests. Later, Boeing announced its 337 Stratocruiser, a double-decked airplane that included seven course meals, a cocktail lounge and snack bar on its lower deck. 1960’s: In 1961, TWA became the first airline to project films on regular scheduled flights with 16mm film. 1980’s: Many of the innovations that we see in today’s modern cabins started appearing in this decade. Northwest Airlines became the first airline to add in-seat LCD monitors on their Boeing 747 jets. It was also during this time that the first Airbus A320 airplane successfully achieved its first flight, which accommodated more passengers than ever before and provided a better flying experience. Amazing advances in technology now allow airlines to offer nonstop flights that fly farther and cost less than ever before. 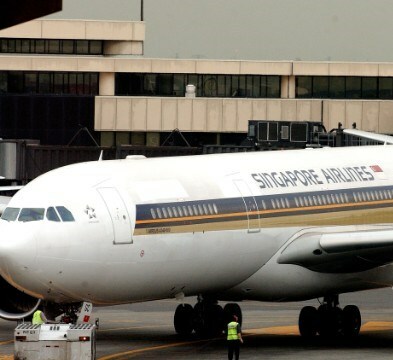 The king of nonstop flights has always been Singapore Airlines Flight 21 and 22 between Singapore and Newark, New Jersey. However, this past weekend, Singapore Airlines ended these iconic flights after nine years of service. The route was the longest both in distance (about 9,500 miles) and in time (about 19 hours). These aircraft were built for keeping travelers comfortable over long periods of time – all 100 seats on these flights were business class and passengers had hundreds of in-flight movies to choose from. So, what do the pilots do to combat the fatigue of flying for that long? Typically, during a flight lasting longer than 14 hours, the captain and his first officer will fly the first three hours. 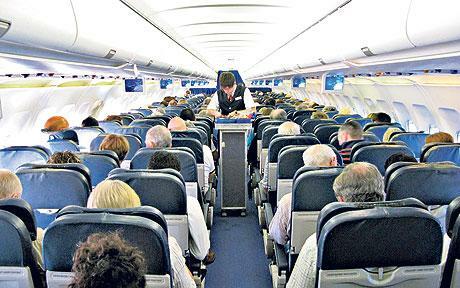 Then, they hand off the plane to a second crew while they rest in a special compartment or in reserved seats in the cabin. Every three hours, the two crews switch until about 90 minutes before arriving at the destination. Once they reach the 90 minute mark the captain and first officer will land the aircraft. With these flight no longer in service, the Qantas Flight 7 from Sydney to Dallas now holds the honor of being the world’s longest nonstop flight by distance, at 8,600 miles. The longest nonstop flight by time is Delta’s Flight 201 from Atlanta, GA to Johannesburg which clocks in at about 17 hours. Major airports cover hundreds of acres of land in order to accommodate the miles of landing strips, terminals and concourses. Have you ever wondered what this land was before it became a home to our major airlines? Much of the land that is now occupied by the world’s largest airports once consisted of auto racetracks, golf courses and farmlands. Atlanta’s Hartsfield-Jackson International Airport is one of the busiest in the world. But before 1925, the land was an abandoned auto racetrack that was used as a make-shift landing strip for local airplanes. The mayor finally signed a lease committing the city to develop an airfield in the 1930s. In 1942, Idlewild Airport was established, named after Idlewild Golf Course. This airport, named for the former golf course, was officially renamed in 1963 to John F Kennedy Airport. This is not an unusual trend; only a minimal amount of work is needed to be done for a golf course to be converted to an airport. Trees and bushes are simply cleared from the perimeter of the course and its bunkers are leveled. Most common though, is the conversion from farmland to airports, which is logical due to the flat elevation of farmland. In the 1950’s the area of land currently home to Greenville-Spartanburg International Airport was once a farming community. Local peach farmer, Paul Wood, owned and operated a 2,600-tree peach orchard. He and his family lived in a home that stood where the GSP runway is today. A long layover usually means one thing for every traveler – boredom in the airport terminal. In times like these, many people turn to reading to keep them entertained, whether it be a magazine, book or their e-readers. For these travelers the growing concept of airport libraries is helping them pass the time. The concept of airport libraries began in 1962 when the Nashville International Airport opened the first library branch within an airport, complete with an enthused librarian who took the airport parking fee out of her paycheck. The trend has continued and now airport libraries can be found in places such as San Francisco, Seattle, Michigan, Kansas and Fort-Lauderdale. 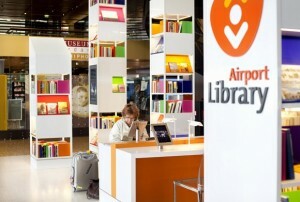 Now, numerous airports are finding ways to supply travelers with reading materials outside of traditional library. One example can be seen at Finland’s Helsinki Airport where a dedicated 24/7 book swap area was established for passengers to pick up a book, drop one off or just spend time sitting and reading. Another recent trend is the availability to download free E-books through QR codes that are posted throughout airports.